In the late 80's I had the good fortune to be a Contributing Editor to American Way Magazine, the inflight publication for American Airlines. At that time, the 'powers that be' at the airline wanted an interesting magazine and were willing to pay the price for it. As a Contributing Editor it was my job to create "content" in the form of photo essays...so 'create' I did for a number of years! 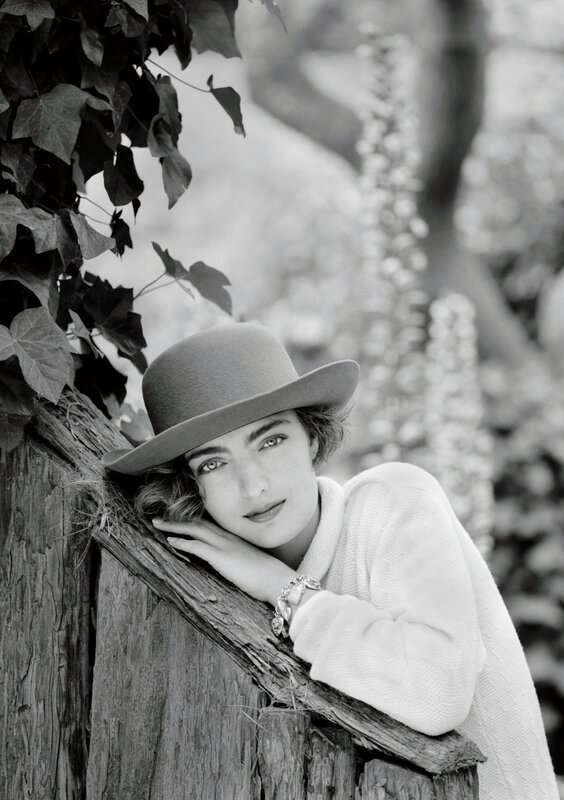 Within that period, one of my all time favorite projects was a fashion piece photographed in Carmel. 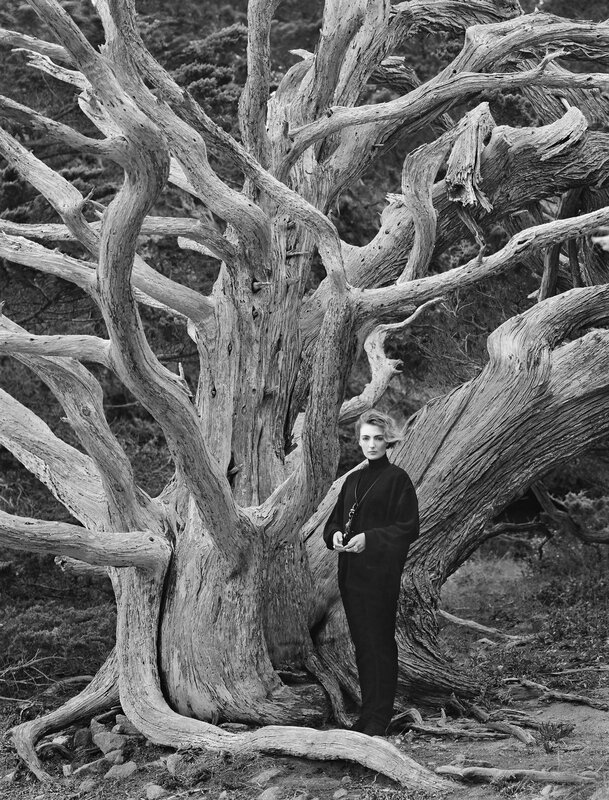 Inspiration for the essay came from the legendary photographer Edward Weston who lived and worked in Point Lobos, a coastal area just outside of town that is now a National Reserve. 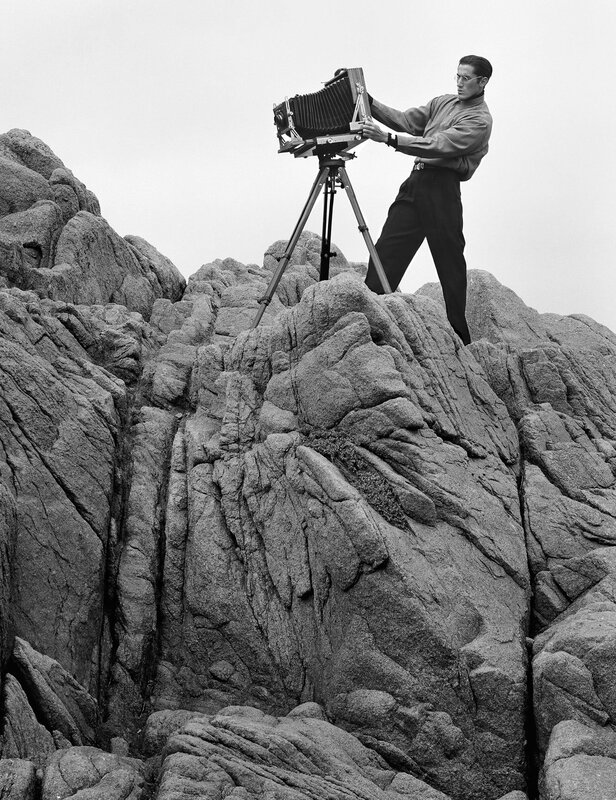 Weston was a bohemian artist that produced beautiful black & white images using an 8x10 view camera. One of his notable lovers was Charis Wilson, who was herself an artist and individual of ecletic style. 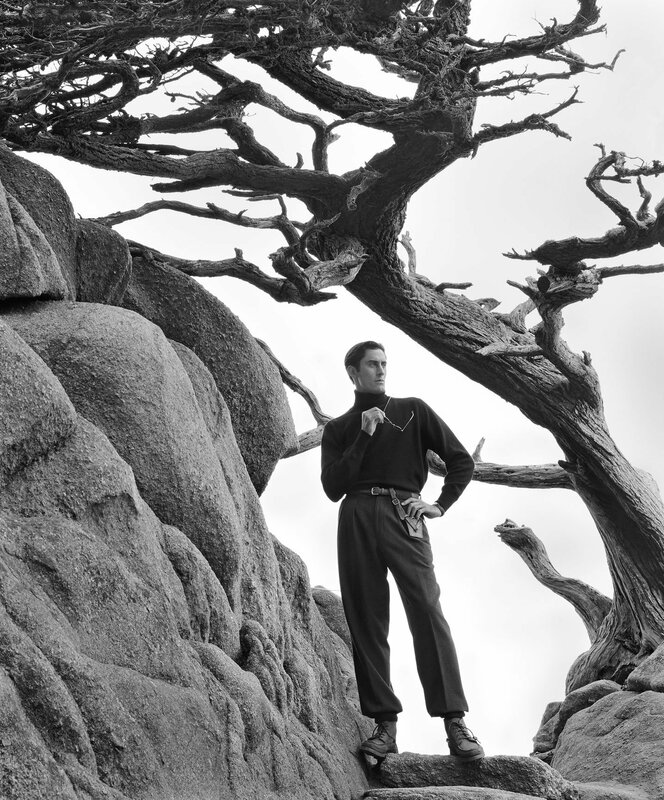 The idea for the shoot was to depict a couple as "artists in the lanscape" and to model them stylistically after Edward and Charis. My collaborator on the story was the exceptional stylist Sarah Sanford. Sarah "got me" and understood what I envisioned more than anyone I'd ever worked with. To set the stage for this endeavor I showed her a number of Weston's photos and described as best I could the relationship that Charis and Edward had had. She listened intently and then set things in motion... hiring the models, arranging our travel plans and procuring all of the clothing and props. Looking at the series today, I am struck by how ageless it is. Twenty five years have passed since the body of work was published and yet it could appear in a magazine tomorrow and no one would bat an eye. The images are timeless and although I certainly had something to do with it... the lions share of the credit must go to her. 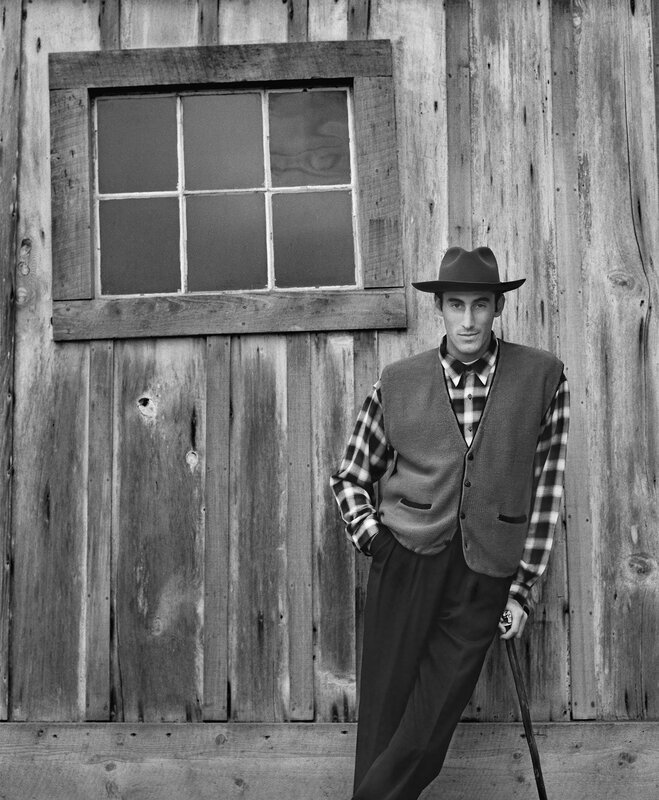 Every image you see here was shot in available light using a Hassleblad with Kodak T-Max film. I used yellow and orange filters in a couple of the shots and a reflector here and there to open up the shadows. The models were Eddie Yansick and Lori Denues. Eddie was hired from an LA agency that I no longer remember the name of. He later became a stunt man in the motion picture industry. Lori was a Page Parks model from Dallas. The hair & make-up was artfully applied by Cindy Gregg with Kim Dawson. Cindy and I continue to work together and have been life long friends! Thank you so much for these comments and your subsequent email. I responded to the email, so do not need to say more here. Am looking forward to seeing your series. Ron Scholefield - These shots are just great. 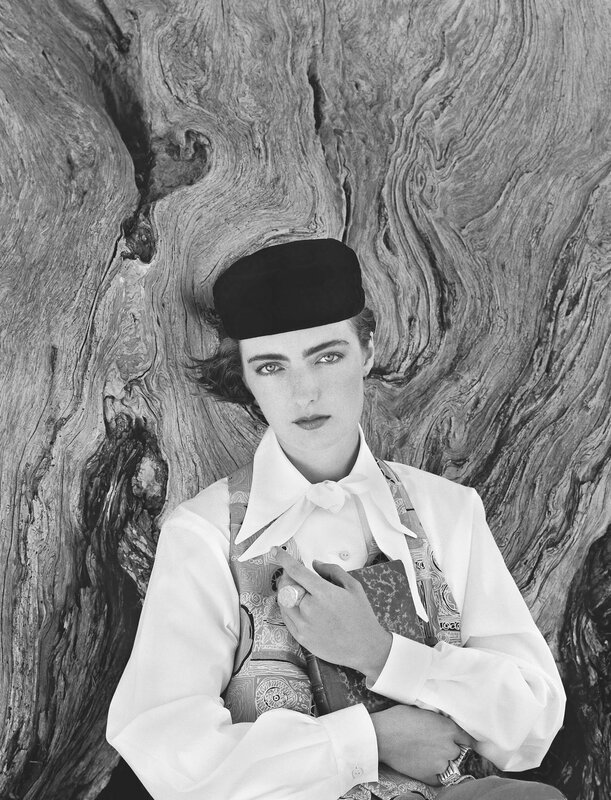 I'm planning on posing a model in 1930s fashion, at Point Lobos, styled to evoke memories of Charis. I grew up in Carmel. Last year (2015) I visited Wildcat Hill and met Kim and Gina. Anyway, these shots are awesome.